I think most of us can agree that in the grand scheme of things, 2018 was not a great year. It feels fitting to close it off with a long, crazy route that doesn’t really go anywhere (at least not quickly) and makes way too many deviations for its own good. Hi, 129. It’s gonna be a long ride from here. The route begins at the Frankford-Knights Loop, right on the Philadelphia city line. 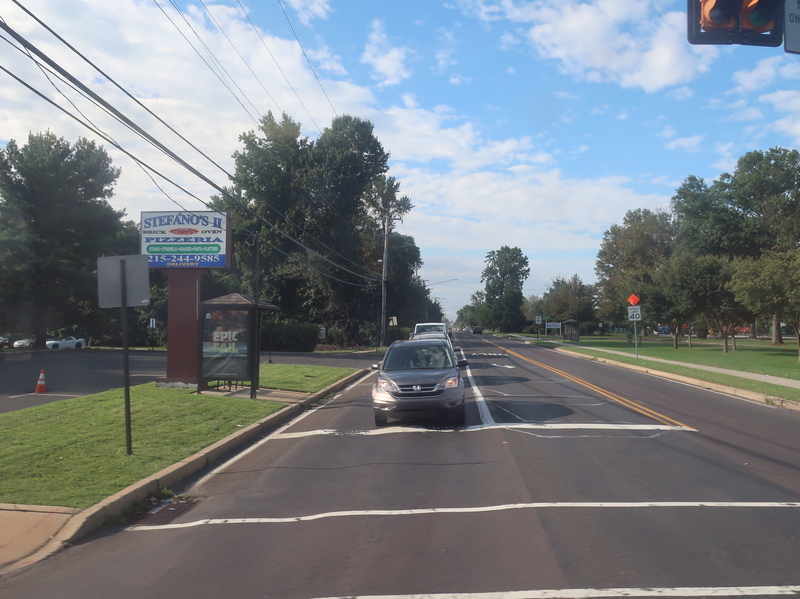 We crossed Byberry Creek on Bristol Pike, instantly entering Bensalem – the houses and businesses on this road felt like they were trying to be as dense as possible while still remaining annoyingly suburban and car-oriented. The Woodhaven Mall was a proper suburban development, although certainly not a true mall. At least the outdoor plaza did have a movie theater in it. 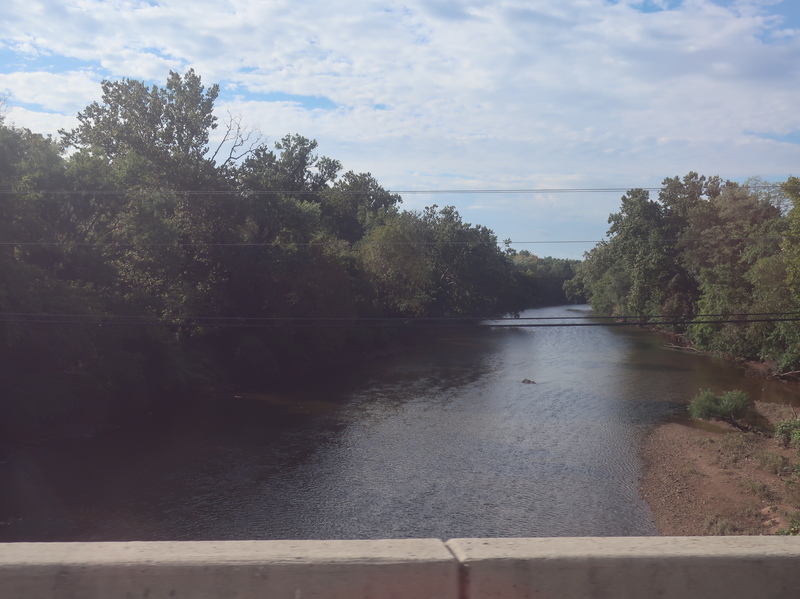 Because this route is full of surprises, we suddenly had a brief express section on Route 63! It was only for one exit, but it still came out of nowhere. Once we left the highway having reentered Philly, we instantly ran down Franklin Mills Court in order to serve the Philadelphia Mills Mall (which is an actual indoor mall, for the record). 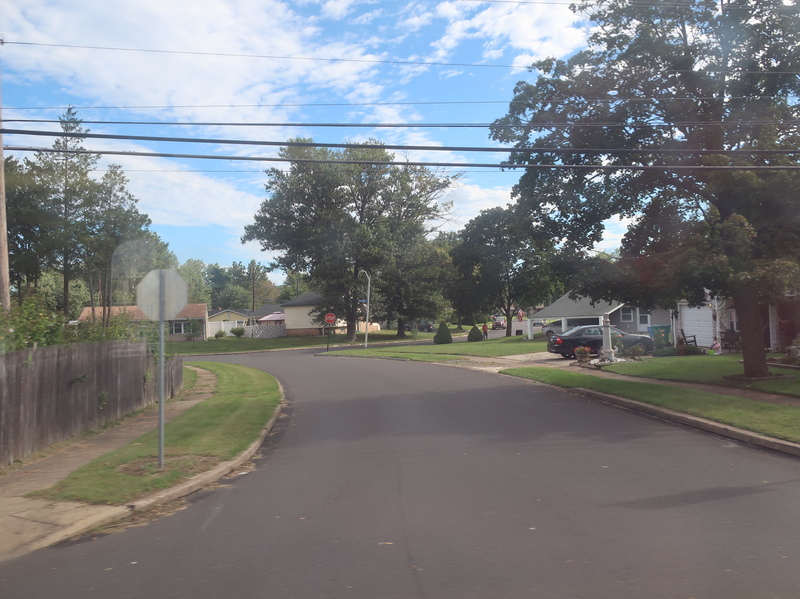 We headed onto Knights Road after that, which actually did have a few dense apartments on one side, but it quickly devolved into suburban houses, car-oriented residential developments, and shopping plazas once we left Philly for Bensalem again. There were a few municipal buildings among some fields as we turned onto Byberry Road, but that was the only unique thing about the scenery here. 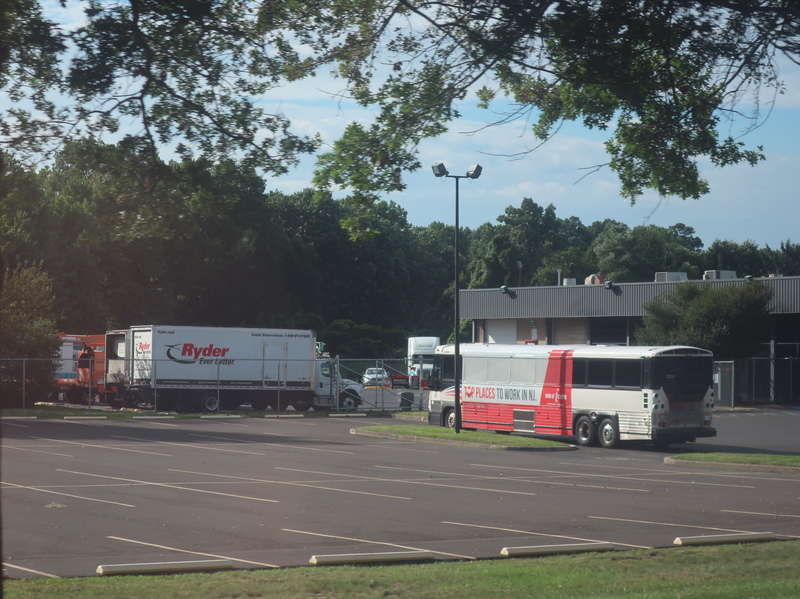 It started to get industrial when we turned onto Bridgewater Road, and this is where the first of the 129’s weekday-only industrial park deviations occurs: buses will do a jog to serve the Bridgewater Industrial Park. I rode on a Saturday, so I didn’t get to experience any of these wonderful deviations. I feel like I’m in Florida or something. Despite not deviating further into the industrial park, we still got to experience some of the random warehouses and factories of the area on Bridgewater Road. 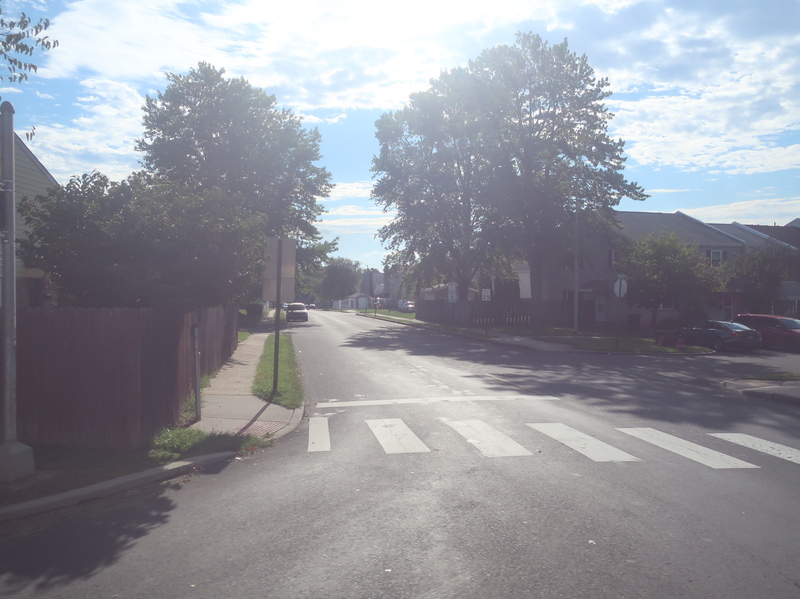 But then it ended abruptly and we entered a residential neighborhood, turning onto Bensalem Boulevard. The only business along here was a Wawa, although that’s really all you need, am I right? We eventually reached a patch of open land, and across the street from that was a small shopping plaza with a few small businesses. 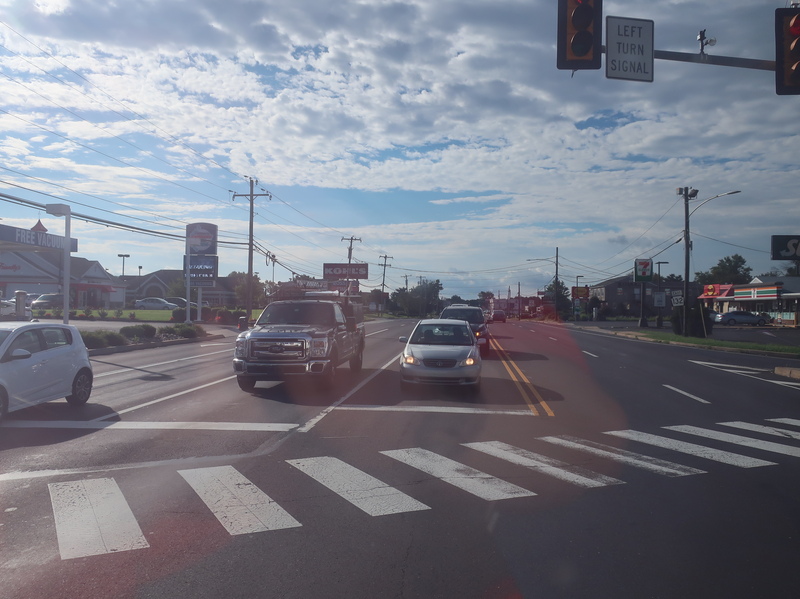 Soon after, we turned onto New Falls Road in order to cross Neshaminy Creek, then we took a right on Newportville Road. Yes, we had essentially turned in the opposite direction, but in the route’s defense, this is the most direct route via local roads because of the creek. Wow, “creek” really undersells it! There were actually a few cool historical-looking buildings on the other side of the creek (part of a village called Newportville), but it wasn’t a downtown or anything. Newportville Road quickly got residential, but once we turned onto Ford Road, we were in another industrial area. This is where the second weekday-only deviation occurs, this time to serve the Keystone Industrial Park. This one is particularly special, as it gets an express trip directly to it in the morning rush. Oooooooh. I knew New Jersey Transit was a big system, but this is ridiculous! We crossed I-95 and turned onto the narrower Wharton Road, passing the third and final weekday-only deviation, this one to serve an unnamed industrial area. That road ended and we turned onto Veteran’s Highway, but we weren’t on it for that long before deviating into the Bucks County Office Center. It featured such attractions as United Gymnastics Academy, Nirvana Family Fitness Center, and Taco Bell. Okay, okay, the complex did have a community college and a welfare office, but no one was using this deviation on a Saturday! Just look how empty that parking lot is. We continued down Veteran’s Highway, a giant road lined with some houses. 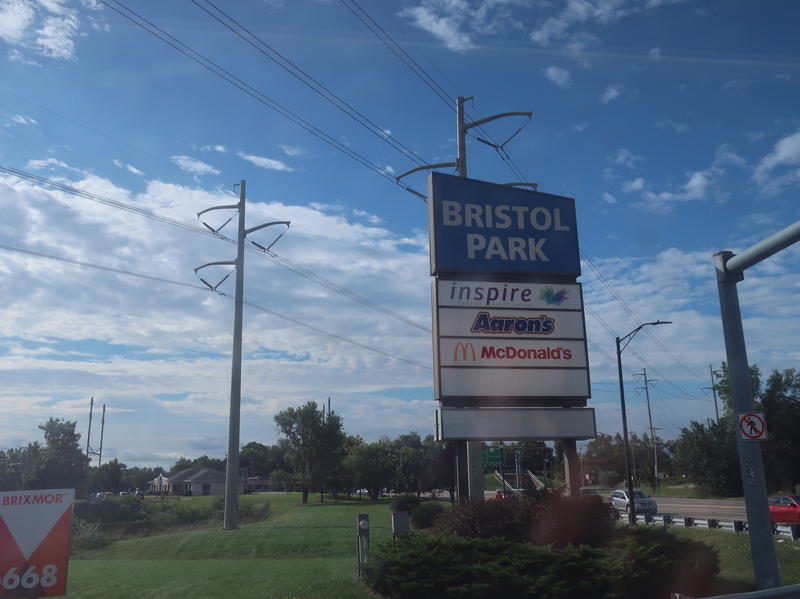 We soon turned into the Bristol Commerce Park (or the “Bristol Park Shopping Center”, according to SEPTA), a plaza that really wasn’t offering much, but it was a clever deviation that let us get onto Bristol Pike. Incidentally, this was the same Bristol Pike we had been on way at the start of the route, and I can tell you this would’ve been a much shorter ride if we had just stayed on that. Or just “Bristol Park” according to the sign. Huh, now I don’t know who to believe! 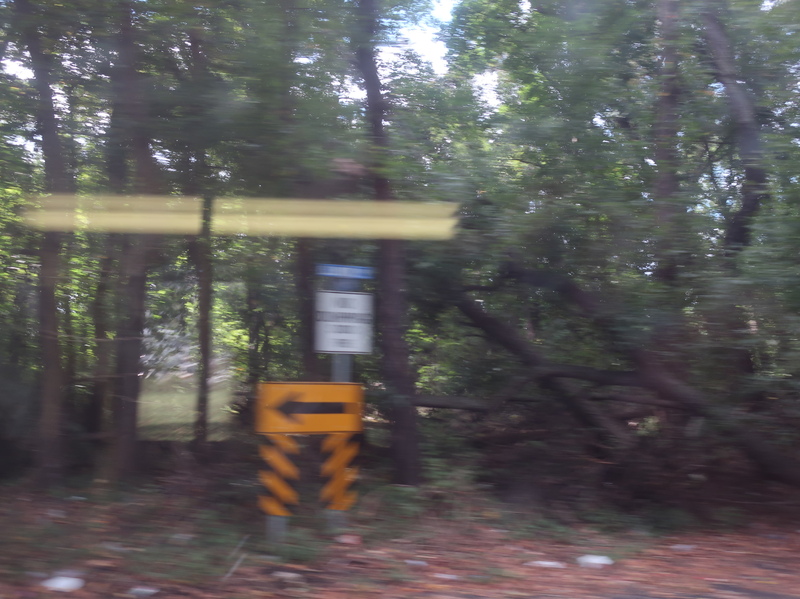 We weren’t on this fast road for long, as we soon turned onto Bath Street, going under the Northeast Corridor. Now we had entered the urban part of Bristol, and it’s actually urban! There were a ton of dense row houses everywhere, although this route doesn’t stay in that part of town for long – we turned onto Pond Street, then Beaver Street, skipping the downtown part of Bristol. At least the six-days-a-week 128 goes further into the urban core. The 129 does serve Bristol Station on the Trenton Line, though, and there were more apartments and a few businesses around the station. The downtown part of Bristol is that-a-way. Once we crossed Bristol Pike, our street became Beaver Dam Road, and we were back in suburbia. After passing through an apartment complex, we turned onto Plymouth Ave, which was a side street in a residential neighborhood. It became Elwood Ave when it curved sharply to the left, and we went under a highway interchange and turned onto Green Lane, a more major street. We went by some massive industrial buildings, while some unfortunate houses sat across the street. This is when we were on those small side streets. 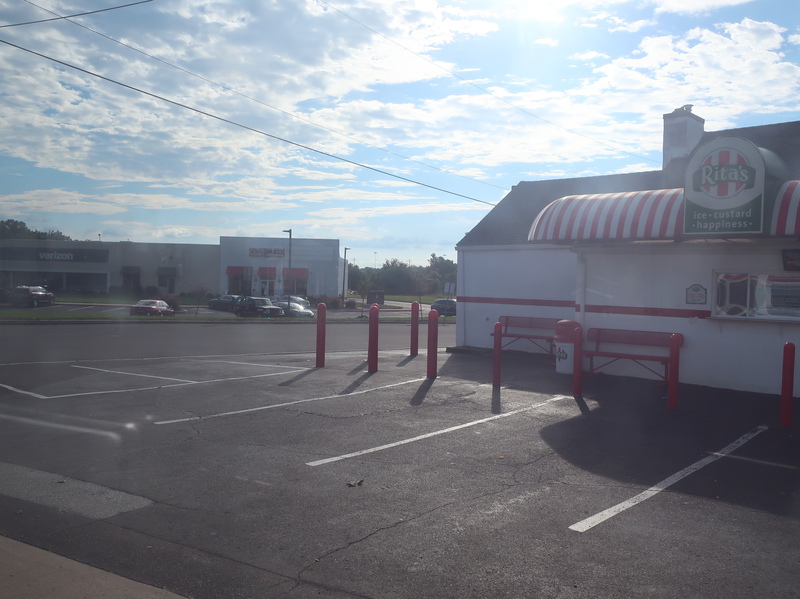 We crossed Mill Creek and entered good ol’ Levittown, which is just as boring and sterile as you would think it to be. We turned onto Mill Creek Road, then Bristol Oxford Valley Road, then New Falls Road, and though there were a few businesses (particularly on that last road), mostly all that could be seen were quiet streets lined with the American dream of the 1950s: lots of suburban homes. Oh, by the way, that New Falls Road is the same New Falls Road we used to cross Neshaminy Creek half an hour ago. It would take literally two minutes to drive directly between the two points. Yeah, I love this route! Eventually, we headed down Durham Road, which took us into Langhorne – there were a few apartment developments between the houses here. 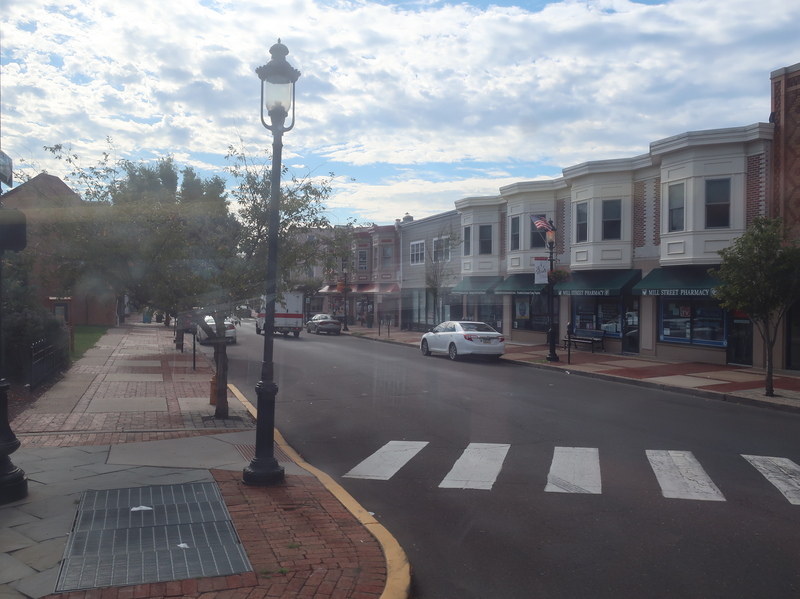 The street went over I-295 and we eventually ended up in downtown Langhorne, which…really wasn’t much besides a few suburban businesses and a West Trenton Line station. This was the home stretch, though! 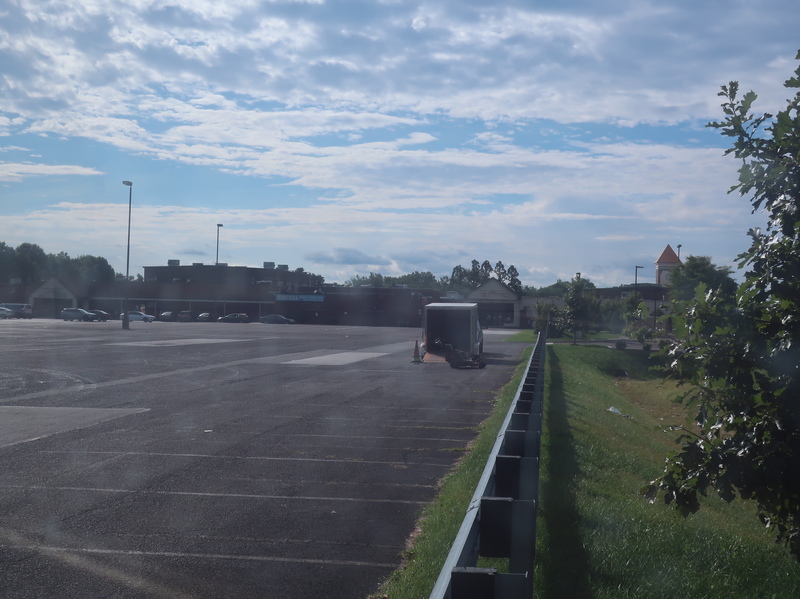 We turned onto Lincoln Pike, passing an absurd number of car dealerships, shopping plazas, and parking lots, before finally deviating into the Oxford Valley Mall to finish the route! PHEW! That was only 75 minutes? Oof, that felt like way longer! Ridership: The route gets the rather low patronage of 879 riders per weekday. But wait, it’s not terribly frequent, so maybe it’s better if you calculate it on a per-trip basis? Let’s see, that leaves us with about 25 passengers per trip. The route is 26.5 miles long. So…less than one passenger per mile. Alright, the ridership is terrible. Pros: Okay, writing off the ridership as “terrible” isn’t totally fair. Bucks County is so sprawled out that it’s really hard to serve by bus, so I at least appreciate the 129 for trying. I mean, the thing runs hourly Monday through Saturday until around 10 PM – that’s not bad. It’s not such a bad route. Right? Cons: Hahahahahaha. Okay, let’s get an easy target out of the way first: at every 90(-ish) minutes from 8 AM to 7 PM, the Sunday service is next to useless. More importantly, this route is just a complete mess! I get that you have to serve stuff, but one glance at the map of this thing is all you need to know that for anyone who’s trying to get somewhere in a rush, you might as well drive. It was truly a slog to sit through from beginning to end, but even if you’re going for a short distance, there are very few portions of the 129 that could be perceived as direct! Nearby and Noteworthy: I mean…it’s really just a bunch of malls. This route is just endless suburbia. 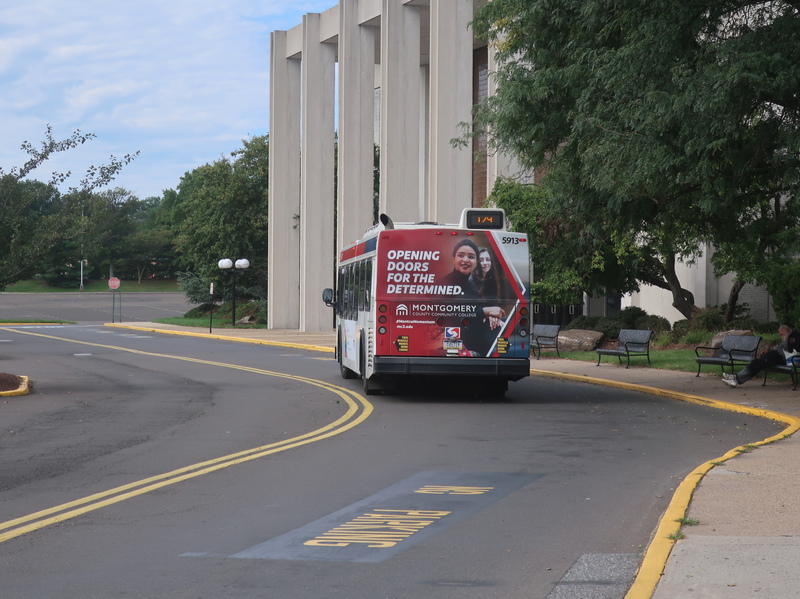 From Philadelphia Mills to Oxford Valley and everything in between, the 129 has got you covered! 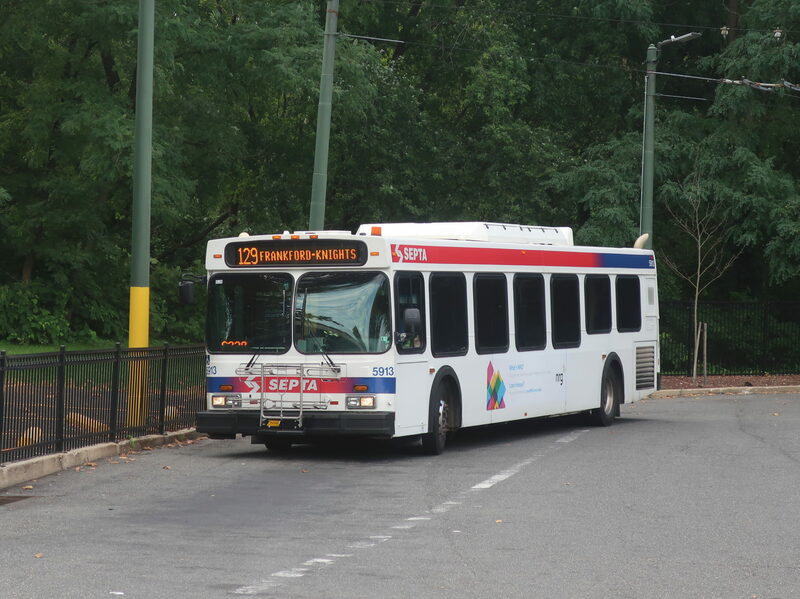 Unlike a lot of the horrible routes I review in Massachusetts, the 129 does actually get some ridership – the highest of the four SEPTA routes that Bucks County subsidizes. It connects to some legitimately frequent transit services, and it covers areas that probably should have access to at least a barebones bus route like this one. This is a terrible route, but it does have a few good things about it that kinda sorta justify its existence. Just like 2018. Happy New Year!